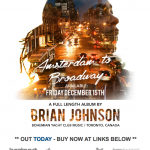 On December 15, 2017 Canadian imprint Bohemian Yacht Club presents to the world Amsterdam to Broadway, a brilliantly realized and emotional album by Brian Johnson. 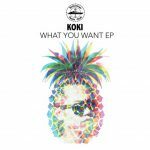 After a two-year hiatus, Bohemian Yacht Club returns making waves with its vision of showcasing new and diverse sounds from its roots in Canad ..
On March 31st Koki makes his debut EP with “What You Want” on Bohemian Yacht Club. The Tokyo born, pineapple headed rockstar has wowed crowds with his extraordinary work on the decks, and now it’s time he reveals his talent in the studio. Working behind the scenes at Bohemian Yacht Club, Koki ..
Canadian producer Brian Johnson is a man who knows how to bring the heat, especially if his return to the Bohemian Yacht Club imprint is anything to go by. 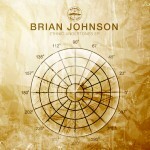 On the Ethnic Undertones EP, Johnson is at his prolific and inimitable best, as he serves up two sultry and effective originals that come prim .. 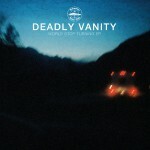 This is Deadly Vanity’s debut release “World Stop Turning” EP. Deadly Vanity is the monicker of Joel Waznicky and James MacGregor – a Toronto duo that have been DJ’ing at venues across the city for many years. 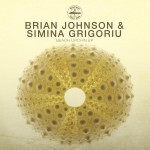 This EP features two remixes of the original by Jamie Kidd and White Lio ..
Beach Urchin EP is produced by Brian Johnson and Simina Grigoriu, working together while in Toronto. The third release for the yacht club sports several different techy flavours, with remixes and features by BYC artists Corrupt Politicians (Brian Johnson and Alex M), Sunday Savers (Fred Hatsav ..
DEEPSEA, produced by Jeremy Kesten, brings the second release to the Bohemian Yacht Club Music label with the 'Sun Child' EP. 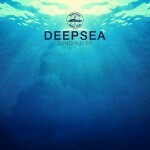 This EP features three very distict cuts of Sun Child, along with a radio edit of the original. The original mixes, with delayed dubby guitar and synth sounds, creates .. 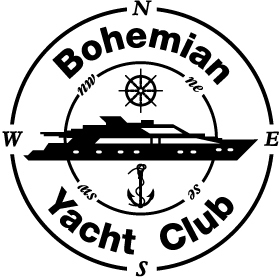 Continuing the success of the Bohemian Yacht Club (BYC) boat cruise series in Miami and Toronto, the new record label "Bohemian Yacht Club Music" publishes a selection of music from the inspiring artists and remixers that have grown with the events. Bohemian Yacht Club Music searches for orga ..